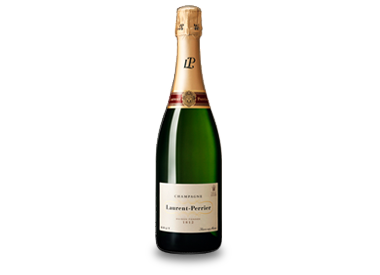 Laurent-Perrier was founded in 1812 by André Michel but it was his cellar master Eugene Laurent, who ran it with his wife, Mathilde Emilie Perrier. After Eugene’s death in 1887, Mathilde combined the 2 names and Laurent-Perrier was born. Clear and bright, with a pale golden hue. A steady stream of very fine bubbles feed into a lively and persistent mousse. Delicate on the nose with aromas of citrus fruits, underpinned by hints of white flowers (honeysuckle).The complexity of the wine is expressed in successive notes of white peach and richer citrus flavours such as grapefruit.